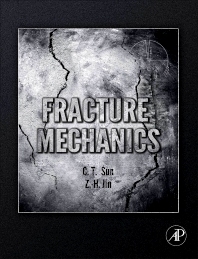 Fracture Mechanics covers classical and modern methods and introduce new/unique techniques, making this text an important resource for anyone involved in the study or application of fracture mechanics. Using insights from leading experts in fracture mechanics, it provides new approaches and new applications to advance the understanding of crack initiation and propagation. With a concise and easily understood mathematical treatment of crack tip fields, this book provides the basis for applying fracture mechanics in solving practical problems. It features a unique coverage of bi-material interfacial cracks, with applications to commercially important areas of composite materials, layered structures, and microelectronic packaging. A full chapter is devoted to the cohesive zone model approach, which has been extensively used in recent years to simulate crack propagation. A unified discussion of fracture criteria involving nonlinear/plastic deformations is also provided. This book offers a problem-solving approach to engineering thermodynamics supported with motivational case studies, historical vignettes, and applications to modern engineering issues, accompanied by a separate thermodynamic tables booklet. It will be an invaluable resource for mechanical, aerospace, civil, and biomedical engineers in the field of mechanics as well as for graduate students and researchers studying mechanics. Research Award for excellence in faculty research, Schools of Engineering, Purdue University, 2004.